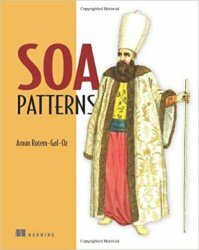 SOA Patterns provides architectural guidance through patterns and antipatterns. It shows you how to build real cohesive and focused SOA services (known today as "Microservices") that feature flexibility, availability, and scalability. Through an extensive set of patterns, this book identifies the major SOA pressure points and provides reusable techniques to address them. Each pattern pairs the classic problem/solution format with a unique technology map, showing where specific solutions fit into the general pattern.